With the last full month of summer underway, many of us are trying to wrap up a few renovation projects while the weather still allows. If you’re fixing up certain areas of your home or landscape, consider the health and environmental impact of the materials and products you’re using. For example, the chemicals in some paints and building materials can leech fumes into your home, sometimes even for years. 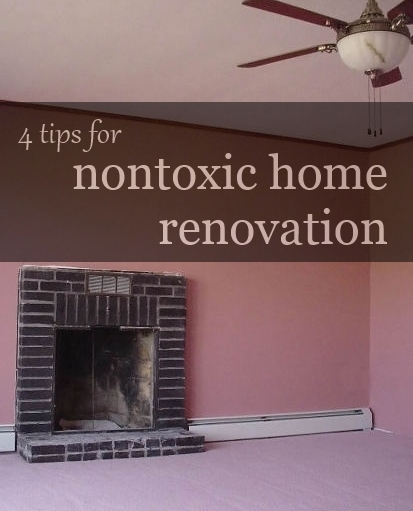 Some materials may leave toxic traces surrounding your home, only to be dragged inside later. Low-VOC/Non-toxic paint. While we fortunately don’t have to worry about lead in the paint we buy anymore, there are still many brands which contain Volatile Organic Compounds (VOCs) which are linked to a number of health problems including nausea, eye and respiratory tract irritation, heart, kidney, and lung damage and even cancer. Thankfully, many nontoxic and low-VOC options are available. Formaldehyde-free wood. Formaldehyde is classified by the EPA as a possible human carcinogen and is present in many building materials, particularly cabinets. Non-toxic caulks, sealants, and adhesives. Again, aim for low-VOC options and look for those that are free of butyl rubber, chlorinated hydrocarbons, formaldehyde, methylene chloride, neoprene and solvent-based acrylic. “Green” carpet. If you’re replacing your carpet, know that some brands are less toxic than others. Look for “green” options that have lower emissions and include more sustainable backing and adhesives. Thankfully, with more and more consumers striving to live a healthier and more eco-friendly lifestyle, there have never been more nontoxic products available for our homes. 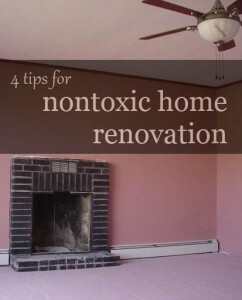 This entry was posted in healthy family, Uncategorized and tagged green home renovation on August 8, 2013 by debbiedrdoormat.